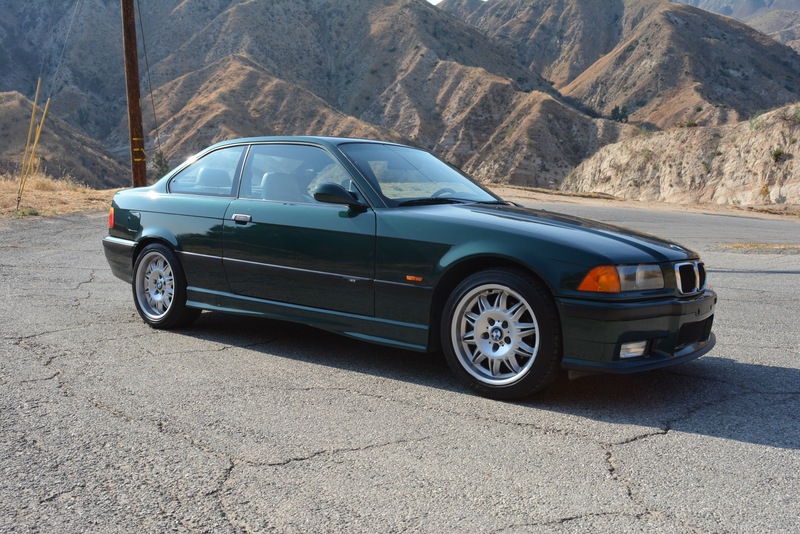 1998 BMW M3 in Collectible Condition with 77k Mi. S52 Engine (3.2 Litre) with 243 HP, 240 Torque with a 5-Speed manual transmission. Runs and drives absolutely fantastic. Drum tight motor, perfect steering, brakes, clutch. Recently passed smog without issues. All original factory Fern Green Metallic paint (386). Very clean dove grey interior. Functioning factory radio, ice cold air conditioning. Recent 60k Mi. service performed including replacement of spark plugs, servicing fuel injection, changing trans and diff gear oils, air filter, fuel filter, oil change, all fuses checked and O.K’d, clutch replacement (within last 10k mi. ), resurface flywheel, pilot bearing, new radiator, expansion tank, new tires all around (within 500 miles). Comes with a clean California title, All original BMW books, 2 original BMW keys spare, tools, tons of maintenance receipts.